The 27" version of the Mid-2010 iMac is available with an additional 256 GB Solid State Drive for a small extra fee of $750. As I already owned an 160 GB Intel X25 G2 SSD I wanted to use this in my new iMac as well. There is several information on the web, how to replace the hard disk or the optical drive with a SDD, but information about adding a SSD without losing the hard drive and the optical drive is very rare. 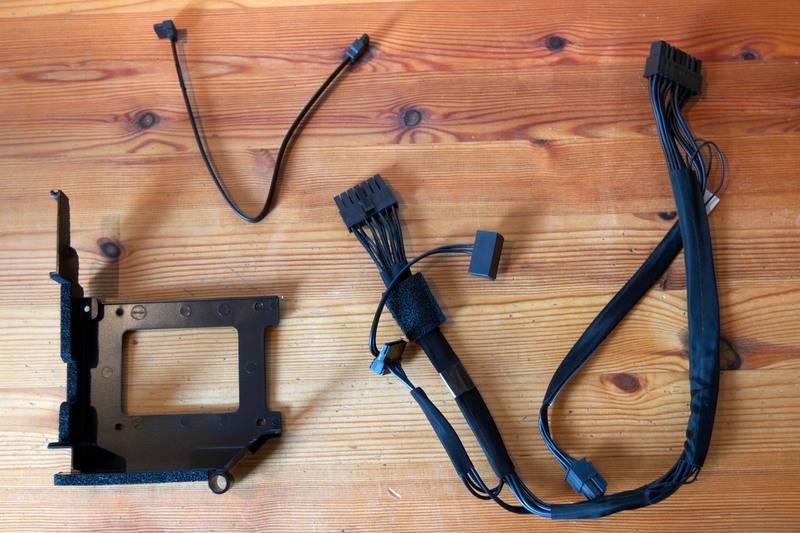 The power cable 922-9531 with connectors for logic board, LED backlight, hard disk and SDD which replaces the old power cable. So this is much faster than my 40 MB/s 8GB CF Card I'm currently using for my server and it's much cheaper. Amazon sells the 16 GB version for 57.50 EUR.